Parental Alienation – Is this Oakland County’s most toxic divorce ever? Is this Oakland County’s most toxic divorce ever? Omer Tsimhoni and his ex-wife Maya Eibschitz-Tsimhoni, have been litigating their divorce for almost eight years over custody of their three kids. Omer Tsimhoni lived in Israel, but has since returned to Michigan. Maya Eibschitz-Tsimhoni and her husband divorced in 2011. Controversial divorce case galvanized advocates for father’s rights. Supporters of the mother insist children can’t be forced to love someone. Eight years after it began, the litigation continues. Lawyers on both side have since dropped out of the case so both parties are still representing themselves. Maya Eibschitz-Tsimhoni, might compete for the gold medal. Their case in Oakland County became internationally infamous when the judge locked up the couple’s three children for refusing to have lunch with their father. But it’s also unique for its scale, cost and collateral damage. $400,000 plus in legal fees. More: Did Judge Gorcyca have a right to a meltdown moment? Oakland County Circuit Judge Lisa Gorcyca was nearing the end of her first year in office in December 2009, when she was assigned randomly case No. 766749-DM. The DM code denotes a divorce case involving minor children. Gorcyca, an assistant prosecutor before being elected judge, was no stranger to hostile court proceedings. But it’s doubtful she could have anticipated that this particular divorce case would alter her career so dramatically. „This case is every judge’s worst nightmare,“ Gorcyca’s lawyer, Thomas Cranmer, later told the Michigan Judicial Tenure Commission, in defending her actions. Omer Tsimhoni is an Israeli citizen and a former pilot for the Israeli Defense Forces. He earned a doctorate in industrial engineering from the University of Michigan and now works as a General Motors researcher. He’s lived most of his life in Israel, but currently resides in the U.S.
Maya Eibschitz-Tsimhoni is a pediatric ophthalmologist by training, who formerly taught at the U-M Medical School. A court filing indicated she’s let her medical credentials lapse but is working to restore them. Court records show they married in 1995 in Israel, where they both grew up, then moved to the U.S. when she accepted a job in Ann Arbor. They had three children between 2001 and 2005, who were born in the U.S. but have dual citizenship. In November 2008, Omer Tsimhoni returned to Israel to take a job with General Motors and hopes of bringing his family back with him eventually. The family moved to Israel but several months later, Eibschitz-Tsimhoni returned to Michigan with the children. In December 2009, Eibschitz-Tsimhoni filed for divorce in Oakland, claiming the marriage had broken down and her husband was trying to take the children back to Israel. Tsimhoni responded by filing court cases in Israel claiming his wife had kidnapped the children and also in U.S. District Court in Detroit, claiming she’d violated the Hague Convention, a multi-country treaty which seeks to protect children from abduction across international boundaries. While the divorce case proceeded, Eibschitz-Tsimhoni was awarded temporary custody of the children and the acrimony soon escalated. He had once called police claiming his wife slapped his face as he tried to leave the house after an argument. She later sought a personal protection order, claiming he assaulted her in front of her children. When the children visited their father, he was required to surrender his passport to Eibschitz-Tsimhoni, who held it until the children returned to her. As the tensions grew, exchanging children became so hostile that police were needed to mediate the transfer. By September 2010, Gorcyca ordered psychiatric evaluations for the children, and the parents. Two months later, Tsimhoni made his first claim of parental alienation, arguing his wife was deliberately turning the children against him. Eibschitz-Tsimhoni denied it, claiming the children were afraid of their father, whom she said had been abusive toward them and that she couldn’t force them to love someone. The issue would continue for years. In August, 2011, the judgment of divorce was entered, granting joint custody but with the children living with their mother most of the time. Tsimhoni was ordered to pay $1,750 a month in child support. The acrimony continued with Omer Tsimhoni continuing to claim that his children had been poisoned against him, barely speaking to him when they were together. Eventually the children began protesting spending time with their father at all, and Gorcyca sought to enforce their father’s rights to see them. She’d order the children to spend time with their father, but they refused. At one point, they linked arms in the hallway to try to prevent them from being taken into court. By early 2015, Gorcyca began warning the children that if they continued to defy her orders, they could be held in contempt and sent to Children’s Village, the county’s youth shelter/juvenile detention center. She also continued to pressure Eibschitz-Tsimhoni to facilitate parenting time for their father. 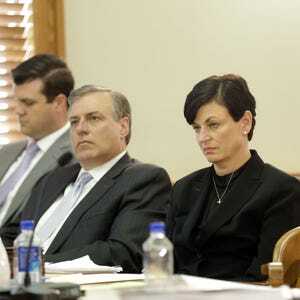 Gorcyca grew so frustrated with the mother that that on April 2, 2015, she order Eibschitz-Tsimhoni to report to the court at 9 a.m. and be detained in the courthouse lockup until 4:30 p.m.
At a hearing on June 23, 2015, Gorcyca threatened to jail Eibschitz-Tsimhoni if the children didn’t improve their behavior toward their father. She ordered the children to meet with their father the following day in her court. One of the children met with her father at 9 a.m. in the jury room beside Gorcyca’s courtroom, but word soon reached Gorcyca that the child was not interacting with Tsimhoni. Gorcyca spoke to the child briefly, then wrote a script for Eibschitz-Tsimhoni to read to all the children, explaining that their father loved them. When three children returned to the jury room about 11:30 a.m., they still refused to communicate with their father. Gorcyca began contempt hearings against the children. The oldest child apologized to Gorcyca but refused to apologize to his father, saying his father was violent and had hit his mother. Gorcyca told the boy his behavior was the worst she’d seen in 46,000 cases. Sheriff deputies then handcuffed the boy, who was 14 at the time. She compared the boy’s actions to those of cult leader Charles Manson and made a circular motion with her finger near her ear as she said it. „Dad, if you ever think that he has changed, and therapy has helped him and he’s no longer like Charlie Manson’s cult, then you let us know,“ Gorcyca said. She eventually held all three children in civil contempt and ordered them held at Children’s Village for the summer and scheduled a review of their detention for September. „No one from Mom’s side is allowed to visit any child at Children’s Village,“ Gorcyca wrote in an order. The Michigan Supreme Court last week ruled that Gorcyca committed judicial misconduct when she „directed disparaging and demeaning remarks“ at the children. It rejected a 30-day suspension recommended by the Michigan Judicial Tenure Commission and ruled that a public censure was enough. News of the detention soon exploded in media coverage in the U.S., Europe and Israel. The case became a flash point in the parental rights argument. Fathers‘ Rights groups ralliedto the side of Omer Tsimhoni, agreeing that he was the victim of parental alienation. Other groups rallied to the side of the mother, claiming the children can’t be ordered to love someone. Facebook pages quickly sprung up promoting one side or the other. Two GoFundMe pages were set up to raise money for legal fees for Eibschitz-Tsimhoni, who would later acknowledge paying a public relations firm $10,000 to represent her side of the issue through social media and other means. 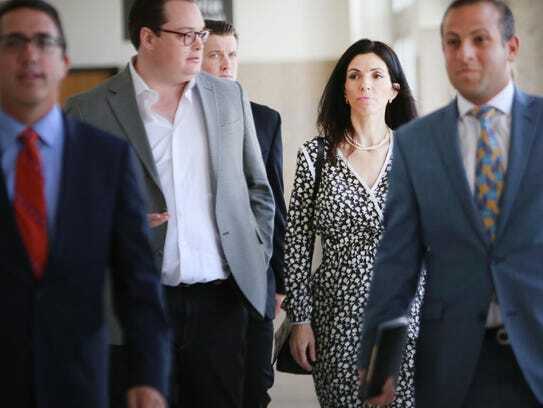 She also claimed to have spent more than $400,000 in legal fees, though at least one of her attorneys asked to quit the case over unpaid bills. The children spent 17 days at Children’s Village before Gorcyca agreed to release them to attend a Jewish summer camp. In July, 2015, Omer Tsimhoni asked the court to grant him sole custody of the children and in August, they were placed in a 5-day reunification program, aimed at addressing parental alienation. After that, Gorcyca gave their father temporary custody and ordered their mother to have no contact with them for 90 days. Eibschitz-Tsimhoni wouldn’t see her children again in person for almost nine months, reuniting with them in April 2016. In September 2015, Eibschitz-Tsimhoni accused Gorcyca of being biased and asked Gorcyca to recuse herself. Gorcyca refused. Eibschitz-Tsimhoni appealed to Oakland County Chief Judge Nanci Grant, who declined to hear the request, citing a possible appearance of impropriety. The case was turned over to St. Clair County Judge Daniel Kelly, who ruled that Gorcyca should remain on the case. The Michigan Judicial Tenure Commission filed a misconduct complaint against Gorcyca over her actions in the case. Gorcyca insisted she’d done nothing wrong, but asked Grant to reassign the case. She did, giving it to longtime Judge Joan Young. Gorcyca was now off the case, but found herself battling the misconduct charges. Cranmer, Gorcyca’s attorney, later asked the Michigan Supreme Court to dismiss the charges, saying Gorcyca’s actions were a one-time occurrence, borne of years of frustration with the case. „Everything that she did in this case … with the exception of the hearing on the 24th … indicates her good faith and due diligence,“ Cranmer said. Lynn Helland, executive director of the Tenure Commission, disagreed. „It is a referendum on whether Michigan permits its angry judges to insult, berate and ridicule children and demonstrate a loss of impartiality and with the barest of nods to due process, find a child in contempt of an order that didn’t exist,“ Helland said. Oakland County has spent $111,000 in legal fees defending Gorcyca against the charges. Gorcyca wasn’t the only person to have her career affected by the Tsimhoni case. In September 2016, Paul J. Fischer, the executive director of the Tenure Commission who filed the complaint against Gorcyca, was fired. 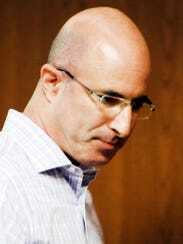 He later claimed in a lawsuit that he was the victim of religious discrimination because he is an Orthodox Jew. Fischer said that shortly after the news reports of the children being sent to Children’s Village, he received a letter from Roey Gilad, the consul general of Israel for the Midwest, expressing concern about Gorcyca and her handling of the children, who have dual citizenship. Gilad wanted to speak to the children and asked Fischer to ask Tsimhoni’s lawyers to arrange it. Fisher eventually passed on the request, and when he ran into one of the lawyers at a social event, handed him Gilad’s business card. He was eventually fired by a commissioner, who is not named in the lawsuit. That commissioner had previously told Fischer, „You’re Jewish, you speak Hebrew, you’ve been to Israel,“ the suit claims. Fischer’s lawsuit is pending in U.S. District Court. When Joan Young took over the case from Gorcyca, she quickly put both sides on notice that they needed to behave better. „I like to think of this as an honorable profession … we should treat each other civilly,” Young said. She noted her disappointment at the hostile tone found in some of the pleadings, telling both sides she wouldn’t tolerate disparaging comments. But both sides continued to fight the case. In January 2016, Eibschitz-Tsimhoni asked for custody of the children to be returned to her. „The children lost their mother from their lives on June 24, 2016,“ Eibschitz-Tsimhoni’s lawyers wrote. In early April, she was allowed to see them, but three days after their first reunion with their mother, their father asked again for sole custody of them. In May, Young order the couple to take part in mediation and in June, Eibschitz-Tsimhoni was once again became primary custodial parent, having the children about 68% of the time. Young retired in December 2016 after almost 30 years on the bench. The case was reassigned to Judge Victoria Valentine. Eibschitz-Tsimhoni later asked for child support to help pay their expenses, saying in pleadings that she lives on an allowance from her parents in Israel of about $9,000 per month. Her ex-husband makes more than $200,000 and should pay more. she said. Lawyers for both parents eventually withdrew from the case, but that didn’t end it. New pleadings continued to be filed as recently as earlier this month. The judgment of divorce was entered in 2011, but they continue to litigate other matters, most recently the sale of an Ann Arbor home. Both parents now represent themselves.